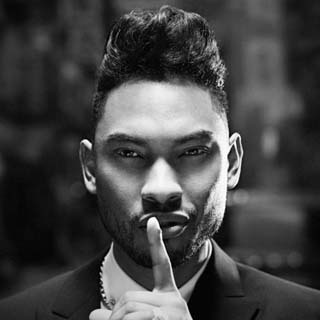 A newly surfaced song titled "Bawdy" by American R&B recording artist, Miguel. It is believed to be an unreleased song from his previous project which was recorded sometime in 2007. He has previously released his second studio album, 'Kaleidoscope Dream' on September 25, 2012. The album was nominated for a Grammy Award for Best Urban Contemporary Album, set to be presented at the 2013 Grammy Awards. Check out Miguel - Bawdy video below. Bawdy lyric by Miguel also available after the jump. Vicious vixen, what is your vice? I need an addiction, what is your price? Baby, let’s party (baby, let’s party)! And don’t just sit, enjoy the bar!